NEW Castle X Facebook Sweepstakes! Have you entered our Sweepstakes yet? What the heck are you waiting for? Enter early & enter often! 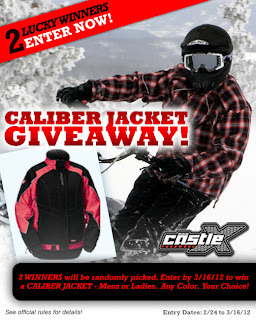 The first sweepstakes will pick 2 winners – each winner chooses any Caliber Jacket we offer – Mens or Ladies. 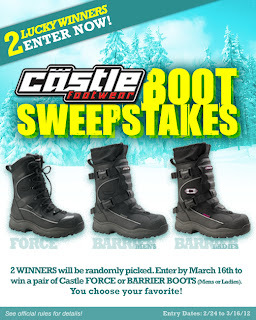 The second sweepstakes also has 2 winners – each can choose from a pair of Force or Barrier Boots – Mens or Ladies (respectively).